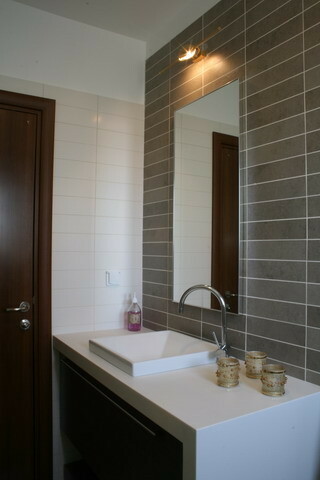 Our all-consuming task in the past few weeks has been arranging for hot water and a shower. Getting all our ducks in a row for the installation of all the parts necessary for attaining non-smelliness is taking a bit more time than we expected, so this post is going to focus on a bit of frivolity. We want the bathroom to be neutral colored, but not just all white and boring. 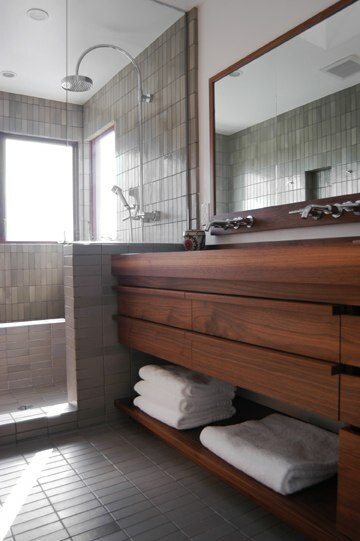 After looking at the wares in tile shops, gray seemed to be the neutral that spoke to us the most. Pretty much any color looks great with gray, including the white of the ceramic ware (which is not the case with, say, cream). 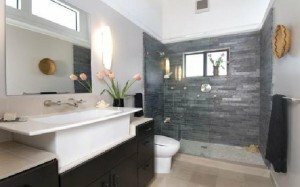 Using the right accessories, one can change the look of a gray bathroom with no effort. The water here is super hard, so that rules out black and any dark colors. 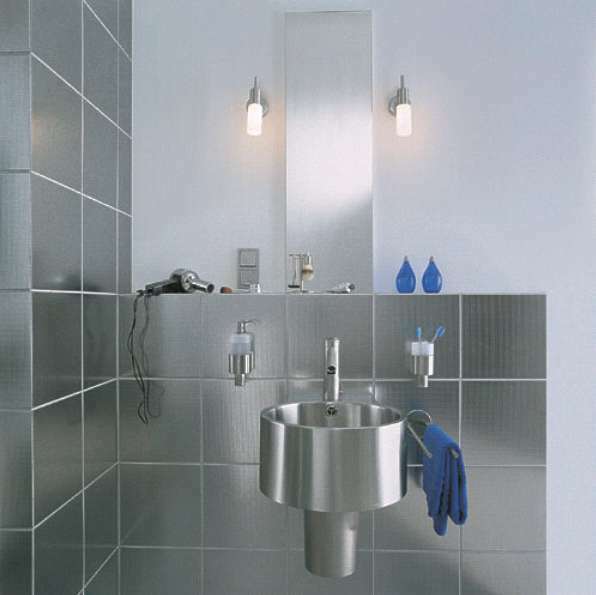 We hope that a light to medium gray will hide the inevitable limescale. 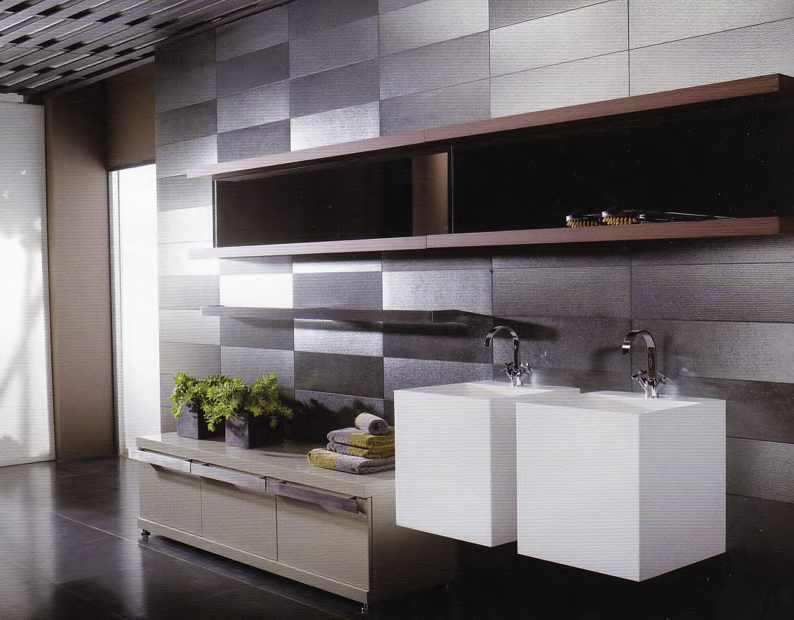 I realize that gray is a huge trend right now, and in ten years, it’ll look soooo 2011 (or 2009…). On the other hand, I did like gray in certain contexts long before this fashion started, so why not run with it? 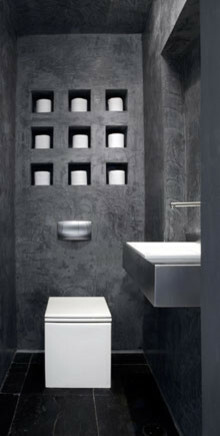 The first image inspired our choice of a boxy toilet and sink. Both the first and second image here take their wall color from concrete. 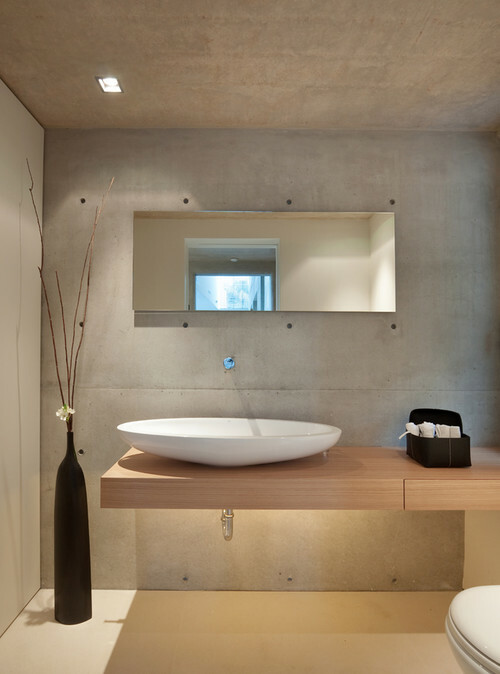 In the second image, the designers actually manage to make the room look warm, despite the exposed concrete. 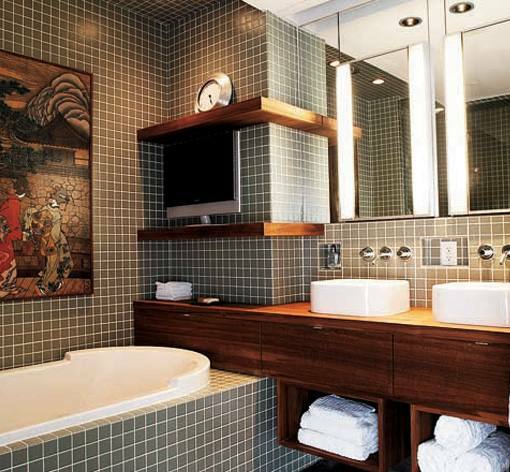 The traditional wall covering in a bathroom is of course ceramic tile. 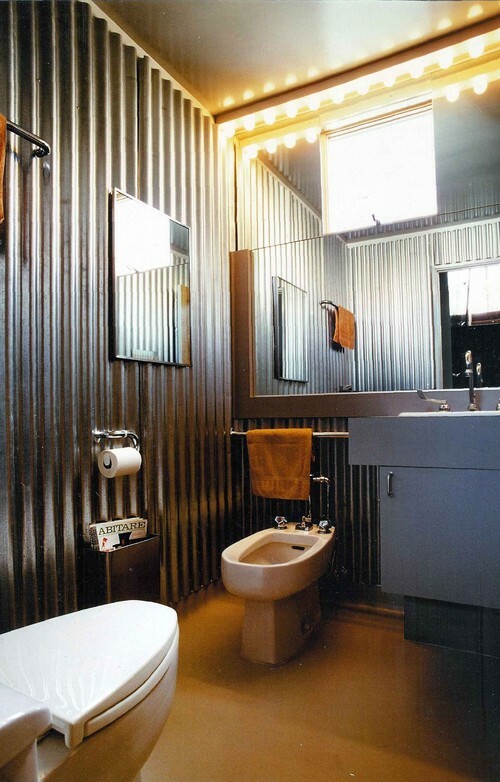 Or perhaps corrugated galvanized (zinc coated) steel? This seems to be a mini trend which looks a bit too rustic-industrial for this building, but is still interesting. 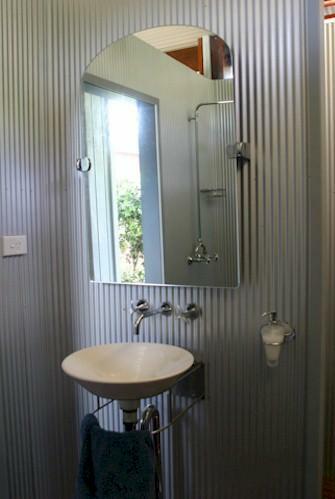 Here’s a galvanized steel lined bath area where the sheet is not corrugated. In this particular case, it still looks industrial, but mostly because of the plywood above. 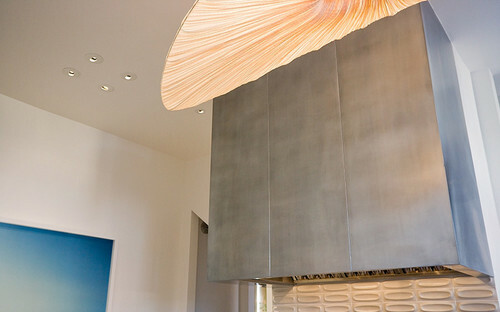 Zinc is used as siding and roofing material. It’s water proof. 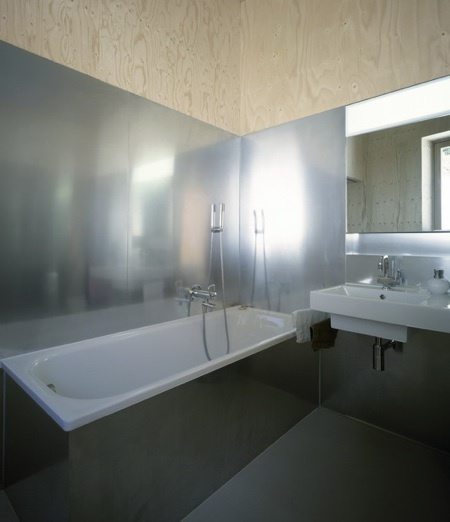 Why not use sheets of titanium-zinc, of the sort that is used on roofs, to line a bathroom? 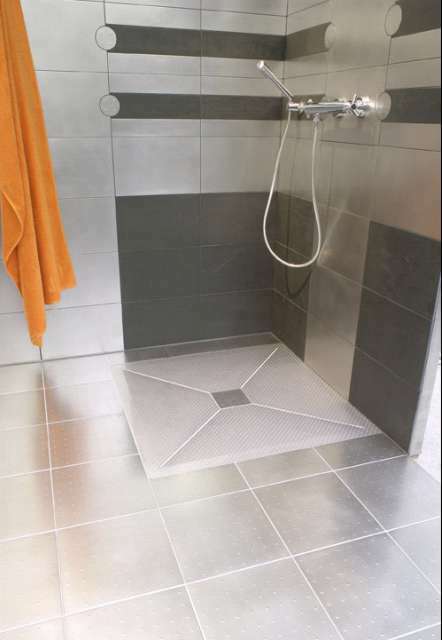 The price per square meter seems about on par with low-mid range to mid-range tiles. 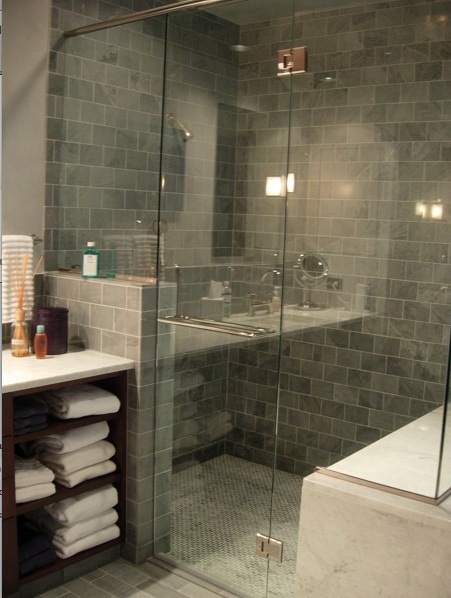 The sheets are big, you don’t have to deal with all that grout that gets nasty as time wears on. 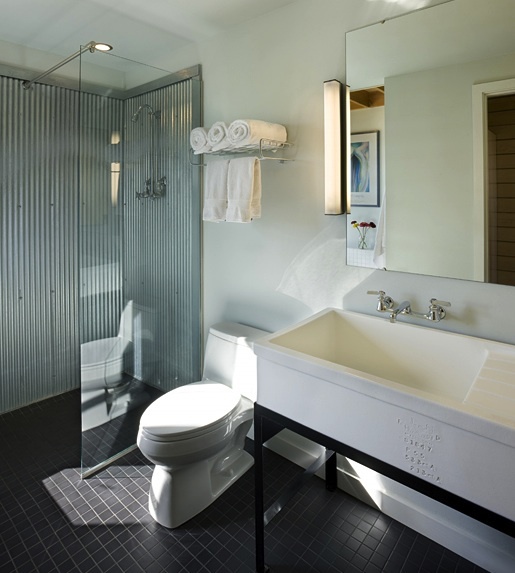 Zinc sheets are hygienic – it is a traditional material for kitchen counters, after all. As long as it is not in direct contact with copper pipes, I can’t think of a compelling reason not to try it. So how come I can’t find any pictures of anyone else having tried this?